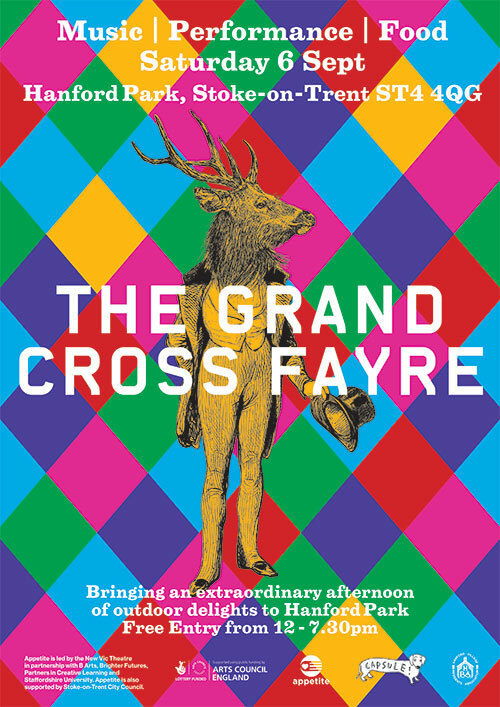 This Saturday is the Grand Cross Fayre at Hanford Park in Stoke on Trent, ST4 4QG. Capsule were invited to curate a festival of new music and performance by Appetite. The event takes place from 12 – 7.30pm and is FREE for all the family and will have food stalls and vintage bric a brac as well as live performances and workshops. Hailing from California, White Manna are a four piece who perform epic and weighty sonic excursions into irrepressible psychedelic rock. Swoomptheeng is a collective of costumed characters who through the elements of Rave Craft, Zombie Bass and Ritualised Punk Technology, seek to work with audiences to create twisted and dynamic live performances. Join them and unleash your inner beast. Renowned 12 string guitar maestro James Blackshaw, performs celestial and spirit-lifting guitar-led compositions. Meditative in quality, cinematic in scope, his music spirals gracefully across complex patterns, motifs and harmonics. Despite his transcendent state music he is a grounded and earthly fellow who has been written about with reverence and has played churches, festivals, folk clubs and large concert halls on his many travels. 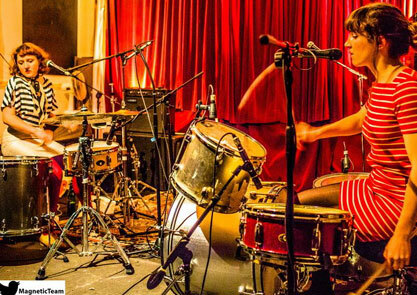 Comprising of 2 of Nottingham’s most unique and recognisable drummers (Theresa Wrigley of Fists and Katharine Brown of KOGUMAZA) Rattle perform together to create hypnotic and danceable rhythms. Produces a sometime cartoon-like music dense with events, new textures and the colours of children’s paintings, sounds like a Swiss cuckoo clock made of egg boxes and horsehair, glued together by an African Moog player in a Vietnamese iron monger’s shop. ‘Haiku Salut’s elegant weaving of minimalist electro tones around warm, somewhat folk-like arrangements awash with their intoxicating blend of delicate electronic textures and collision of curious instruments. Come and join in our workshops during the day and then dazzle the audience at our procession around the park. 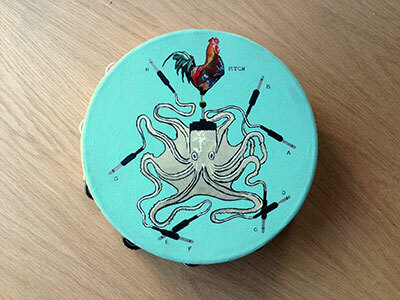 Work with artist duo Juneau Projects to design, build and decorate your own D.I.Y. percussion instruments, then play them as part of the Fayre’s procession. Shake, rattle and roll! 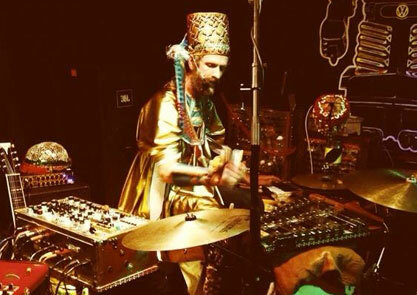 The dynamic Swoomptheeng will be offering an assortment of options in making facial/head wear in eight swoompy colours; perform with them in simplified versions of their balacava stage costumes, and perhaps beards. Yes beards. Create colourful a Pom-Pom on a stick using layers of recycled, plastics, net and cellophane to wiggle and jiggle in the finale. Traveling Treasury is a magical story telling experience that takes places in a beautifully transformed caravan. Audiences are invited to step inside the pages of a book and where stories unfold, quite literally before their eyes. Traveling Treasury allows you to think, dream and believe as you are taken on a wonderful journey through sound, stunning visual paper creations and animated story telling. A wonderful experience for all ages!